"Stumbled across this book bought as a freebie some time ago and decided... What the heck, let's read this without researching recommendations. Communing with spirits has been both gift and curse to Emme Walters. Now it's made her a killer's target. Emme knows why the Dowager Duchess of Briarleigh invited her to a house party--to investigate whether the duke, Rhys Brammel, murdered his wife years ago. 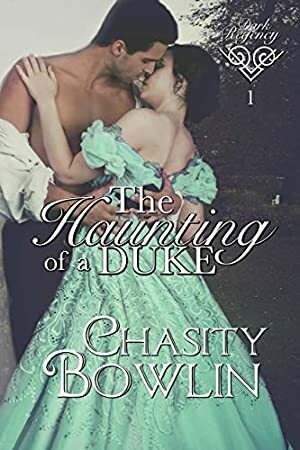 But Emme never imagined she would fall in love with the brooding duke. Branded by society as a possible killer, Rhys is suspicious of Emme and her alleged "gift." Then a late night encounter creates awareness of her other, more attractive, aspects. When Emme's life is threatened, Rhys becomes her protector. Emme and Rhys find passion and peril as they join forces to solve the mysteries at Briarleigh. She made him believe in spirits, but can she make him believe in love? We started tracking this book on June 28, 2014. The price of this book has changed 11 times in the past 1,762 days. The highest price to date was $2.99 last reached on June 28, 2014.